"A core part of the IAA's mission is to promote and preserve the highest standard of fiduciary duty that is the bedrock of the Investment Advisers Act of 1940," Mr. Roberts remarked. Mr. Roberts discussed the strong growth in the investment adviser industry and the challenges that accompany it, including heightened regulatory and public scrutiny, greater competition and the increased complexity of investment management. According to Mr. Roberts, regulatory oversight, in particular, is a topic of focus from an array of organizations and agencies, from the SEC and FINRA to banking regulators, the Treasury and the Financial Stability Oversight Council, as well as the Department of Labor, which has recently expanded their definition of fiduciary. “The demographics of an aging population are engendering an increased focus on retirement issues and the need for advice,” stated Mr. Roberts. He went on to talk about the crucial role that the IAA plays in working with legislators and regulators in representing the investment adviser community, helping to develop appropriately tailored regulation, as well as to uphold fiduciary standards. “A core part of the IAA’s mission is to promote and preserve the highest standard of fiduciary duty that is the bedrock of the Investment Advisers Act of 1940,” Mr. Roberts remarked. Mr. Roberts serves as Chair of the IAA’s Board of Governors. 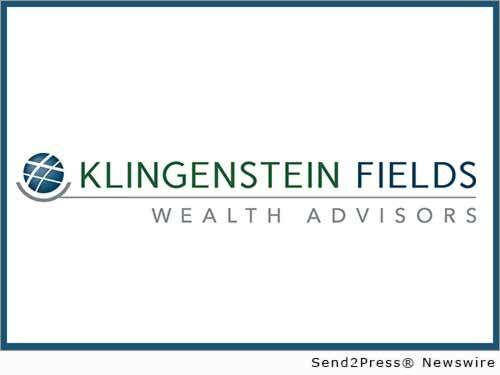 Original Keywords: fiduciary advice Klingenstein Fields Wealth Advisors NEW YORK New York NEW YORK, N.Y.
Klingenstein Fields Wealth Advisors (KFWA) are the stewards of our clients’ wealth. We provide customized financial and investment counsel, delivered with integrity, trust and the utmost in personal service. We take pride in our ability to become your financial partner, by your side now and for generations. REFERENCES: Banking News, fiduciary advice Klingenstein Fields Wealth Advisors NEW YORK New York NEW YORK, N.Y.